Gives an account of the history of philosophy in the Middle Ages - discussing the main writers and ideas, the social and intellectual contexts, and the important concepts used in medieval philosophy. 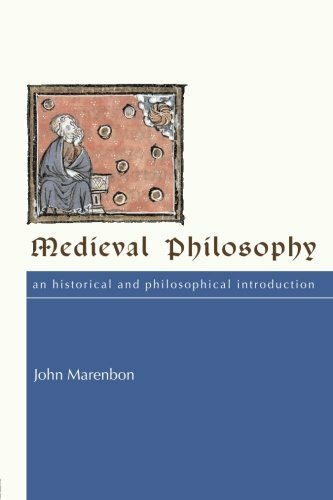 About: This new introduction replaces Marenbon's best-selling editions Early Medieval Philosophy (1983) and Later Medieval Philosophy (1987) to present a single authoritative and comprehensive study of the period. About: Gives an account of the history of philosophy in the Middle Ages - discussing the main writers and ideas, the social and intellectual contexts, and the important concepts used in medieval philosophy.